Egyptians already know what kind of dirty deals were going on and still going on, between the US and their Eu allies with MB terrorists. SO, all Egyptians are telling the US and their allies in Europe and Scandinavian Countries, to stop treating Egyptians as morons and retarded, because we are not. One thing is for sure, all those foreign countries do not respect their own people’s intelligence, in spreading lies through Medias about what is really going on in Egypt, in order to distract the people in the whole world about the dirty deals which were going on between those countries and Muslim Brotherhood International Organization for terror. Otherwise, ask your governments out there, why are they supporting MB international organization who have a black bloody armed history in Egypt? And why are they supporting that MB organization who are the strong supporters and allies of HAMAS؟. Hamas is blacklisted from your own countries and they are on their Terrorists Lists! Ask your governments about that insane contradictory and Double Standard about supporting MB International organization who is financing and supporting Al-Qaeda Bin Laden Organization? If Obama starts forming militias in The USA and kill those who criticize or oppose his policies besides acting above all kinds of laws, would the American people wait till he finishes his presidential period? I watch the famous Medias in the US, UK, Europe and Scandinavian countries, and what I see and read in their news, is always that claim big fat lie about Muslim Brotherhood condemns massacres against Christians and they totally deny their involvement in those massacres and the medias abroad always claim that those massacres are committed by MOBS! Do you know what Brotherhood claim here in Egypt? They claim that it is the Christians who are burning their churches and homes, because Christians are Anti Islam and they participated big times in that big conspiracy against Islam and Muslim Brotherhood regime who represent the real Islam! What a shame! what a foreign Medias barefaced support to the real terrorists! I really challenge anyone our there, to get me any piece of report provided by those famous foreign medias, interviewing those who managed to escape from Rabba and Nahda squares after they got brutally tortured by MB terrorists. 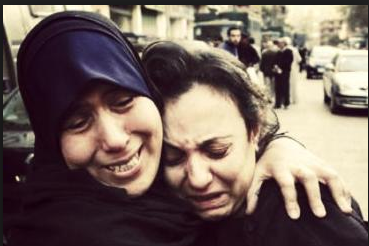 Or any report with the families of the victims who got killed and tortured by Muslim Brotherhood and their Militias. Or any interview with the eye witnesses who are still alive and they saw with their own eyes all Brotherhood crimes against civilians in Rabaa and Nahda Square, because those eye witnesses, they are the civilians who eyewitnessed many of the brotherhood crimes and who took many videos showing those crimes, from their balconies apartments which located right in front of Rabaa and Nahda squares. All those correspondences Media, were just spreading the Brotherhood lies to the whole world and still doing that. And by the way, all of a sudden USA and their Eu allies, just remembered and only condemning violence against Christians in Egypt, as if that happened just recently and as if Crimes against Christians are the only crimes committed in Egypt. Of course I know as you know that those countries can’t act like deaf and blind at least regarding Crimes against Christians because it is spreading already. But I wonder why haven’t those countries condemn as well the daily massacres against all civilians, since MB reached power in Egypt and till this minute! Because MB and their terrorists allies are still committing crimes since they got to power till this minute against women, men, children, police and military forces. Maybe they do not consider those categories in The Egyptian community as human beings! I really am shocked from this barefaced daring and guts! On Saturday the 24th of August 2013, an International conference will be held in Cairo by the Christians Union in Egypt to send a clear and direct message to US, Eu and all countries out their who support MB and their Terrorists Militias in Egypt. A summary was given to the press and medias from The purpose and all the points which will be announced through that conference. In that conference, Christians will confirm that they do not need and refuse that late fake American and European condemning violence against Christians in Egypt. Where were you when Christians were oppressed since MB got to power? 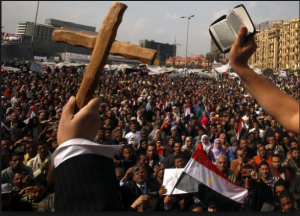 where were you when many Christians were threatened, terrorized and killed by MB and their Islamist Extremist allies during the presidential elections by voting for Mohammed Morsi or stay at home and they were stopped and terrorized from leaving their homes in that period, otherwise death in their destiny! Where were you every time Christians were given a one day warning notice by Islamist extremists to leave their homes and go to hell, otherwise, they will be burned alive? Where were you when their churches got looted and burned? where were you when Christians got kidnapped, tortured and slaughtered by MB and their terrorists allies? 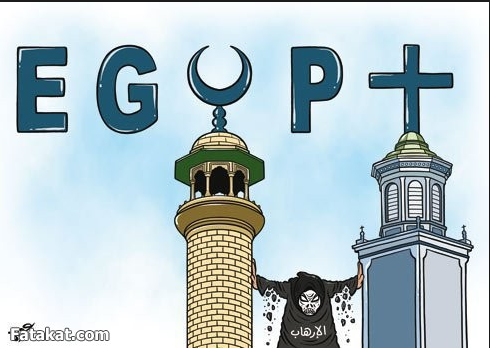 where were you when MB and their extremists allies were putting Al-Qaeda flags on Christians Churches? 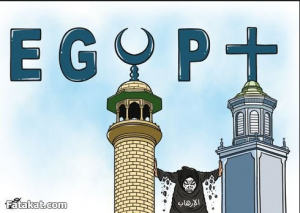 Where were you when Extremists and Brotherhood criminals were marking Christians homes and properties with an X mark, that all what belongs to Christians in Egypt are allowed to be looted then burned? 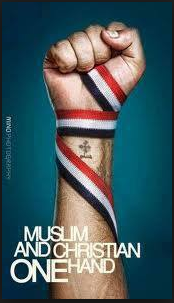 Where were you when Christians were threatened if they participate in the 30th of June 2013 revolution? 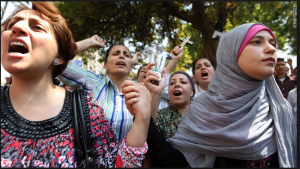 Where were you when Christians got tortured and killed to stop Christians eye witnesses from testifying against Extremists allies to MB who killed their beloved ones in front of their eyes? Where were you since Brotherhood Got to power and their Extremists Medias and press were announcing bloody religious wars against Christians and any Muslim who criticize or disobey the Brotherhood regime? 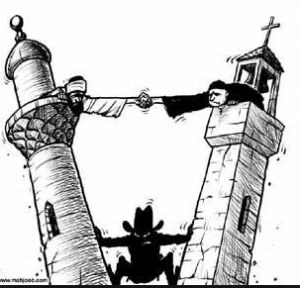 Where were you when Extremists Islamist Medias were sponsored by Mohammed Morsi personally, in spreading violence, hatred between Muslims and Christians and allowing their supporters to attack anything and anyone who relates to Christianity? Where were you when those same extremists Medias sponsored and supported by Mohammed Morsi and his Brotherhood fellows and regime, were encouraging Muslims to kill Muslims who were demonstrating or opposing Mohammed Morsi’s regime? Where were you when same Medias of Brotherhood were encouraging to attack and burn any official institutions in Egypt which doesn’t work according to Muslim Brotherhood Orders and to kill any official responsible in the country from Judges, Military, police if they don’t comply to Morsi’s or Muslim Brotherhood instructions! And where were you World of barefaced support to terrorists, when the Brotherhood were killing and still slaughtering all civilians in Egypt, whether Christians or Muslims, Military and police individuals? I really am going crazy here about that insolence ugly faces of your administrations and governments! Naguib Gabreal, the Chief of the Egyptian Human Rights Union in Egypt and one of the conference organizers, declared that the purpose of that union is also to tell the whole world that Christians in Egypt refuse any of the West countries interference in Egypt’s Internal affairs under the fake claim of International Protection of the Christians Human Rights in Egypt. Christians in Egypt confirmed previously and will confirm again, that they follow and believe what their Holiness Pope announced lately,that all Christians in Egypt refuse the interference of any foreign country in Egypt’s internal affairs and also they do not accept any protection from any country out there, because the real protection they have and seek, is by living in the Egyptian Community as one unity with their Muslim sisters and brothers in Egypt. In that conference Christians will present a documented movie showing the MB terrorists massacres against Christians all over the country. The following video, is a part of the Christians conference, and all what they said is the same content I wrote in that article. The video is in Arabic. Maybe the foreign Media can make some efforts and translate what have been announced and confirmed in that video. 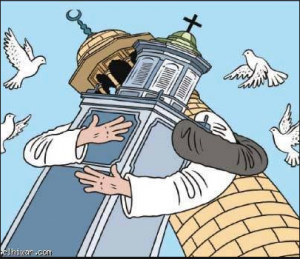 Christians will also confirm what they have been confirming before, that they fully and totally support Al-Azhar religion Institution who represent all Moderate Muslims in Egypt and that institution’s great support to their Christians sisters and brothers in Egypt. Also their full and total support to the Egyptian Military and Police forces in fighting terrorism in Egypt and their brave and courageous support in protecting the Egyptian revolution 30th of June 2013. In addition, they will announce their appreciation, respect and thanks to The Gulf Arab Countries who fully support Egypt in their war against Terrorism and the great efforts of all those Arab Countries in supporting Egypt financially and morally during Egypt’s Crisis, like Emirates, Saudi Arabia, Kuwait, Bahrain, Jordan, as well as Russia and China. 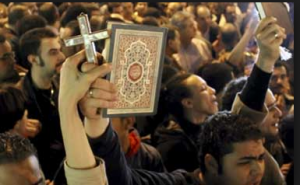 Christians in Egypt, despite all the oppression and the massacres committed against them by the Brotherhood Militias since they got to power, never asked the west countries for protection or interference in their own country. They have even confirmed before that if burning their homes and churches is what the Brotherhood think will make them immigrate from Egypt or get terrorized, then let them burn homes and churches but Christians will never leave their country and will never get terrorized by a bunch of terrorists or ask for any interference in Egypt’s internal affairs. Brotherhood on the opposite side of that, and putting into consideration that they were not and they are not victims at all like what they are spreading to the world, were chanting an felt happy in Rabaa and Nahda Square, when they heard that there were Military US ships in the Suez Canal, and that was a short time ago before the disengagement of Rabaa and Nahda Sit-In. They even thanked USA and ask them to hurry up in invading Egypt and defeat the Egyptian Military and kill those Egyptian traitors who were against Brotherhood regime and get Morsi to power again! The video doesn’t need any translation because the Muslim Brotherhood volunteered to say whatever they wanted in English, asking USA to invade Egypt. I’m posting here some videos. and the reason I’m posting those videos in that article, is first to show all the people in the whole world, what kind of terrorists and criminals, your governments are supporting and defending! Second, the following videos are more confirmed evidences on MB crimes in Egypt and they are evidence also which documenting every single word, I wrote in that article. These following videos are testimonies from Christians from different cities in Egypt, those eye witnesses from Christians, are telling all people in the whole world, what their own medias were hiding and faking. all those following videos are subtitled in English and they show not only the testimony of the eye witnesses, but also the degree of total damages from the attacks of MB and their Militias against Christians Churches, homes and private properties. 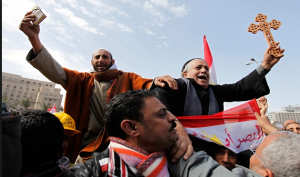 The following Video, Obama supports terrorists in Egypt. CNN played a big role in encouraging violence and killing against all Egyptians taking the same policy of USA administration in supporting MB all the way long. The video is in English Language and doesn’t need any translation. Mentioning CNN, have you ever seen the following two videos of Muslim Brotherhood torturing the policemen in Kerdassa police station on 14/8/2013, and one officer was dying and begging them to take him to the hospital or give him a zip of water, and they were telling him No, you just go ahead and die and we will enjoy watching you dying! and of course as MB support Al-Qaeda Bin Laden style, they record all their massacres and publish it on the internet to send Egyptian a terror message, that this is what will happen to all of you if you don’t act as we Brotherhood order you to, also recording the torture and the massacres against Policemen is another message to Egyptians from Brotherhood Militias, that Brotherhood managed to massacre Military and Police men and they can so easily do the same and even worse to all civilians. That’s what the video is all about. 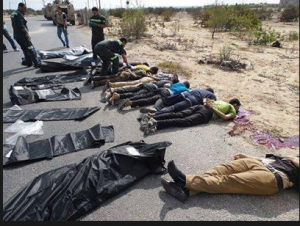 MB slaughtered 11 police officers and individuals in that massacre. Another video showing Kassam militias groups in Gaza who are one of Hamas military armed groups and those are also considered Terrorists and on your governments terror black list already. Many Hamas members and Militias got arrested in Egypt who are involved in snipers operations against Egyptians Military and police individuals, who managed to get into the country through the smuggling tunnels, and of course many of them were given a Green card to move freely in the country during Muslim Brotherhood Regime, by Mohammed Morsi personally. The sad day Egypt had 25 soldiers killed by MB Militias in Rafah, was a happy day in Gaza and a very great day for Hamas. They announced that they support that killing operation of 25 Egyptian soldiers in Rafah by Islamist resistant. The next day to that massacre of 25 Egyptian soldiers, Kassam and Hamas made an armed military show and put the Muslim Brotherhood green flag with two swords, and also stickers with Muslim Brotherhood symbols and Slogans, expressing their happiness and full support to their fellows terrorists who committed the massacre of killing 25 Egyptian soldiers in Rafah, and also to send a message to Egypt that their massacres against Egyptian Military, police and Civilians will continue till Brotherhood get to power again. I’m aware that many of you out there are bored to death or even don’t bother to read further about those massacres against Egyptians, because you simply don’t care in general, but I also know that there are good people out there who refuse what’s happening in Egypt because of their Governments bloody policies in the middle East. I’m addressing my message to all those good people out there. Please help me in spreading the word about MB massacres against Egyptians and please help me to save our children from getting killed by terrorists supported by your governments. That’s all I’m asking you. I’m not asking any of you to fight our war. Egyptians are fighting their own wars, but we can not win this war, while your governments are putting pressure on our military and government to release the murderers who are massacring our children. Tell your governments that we do not want their Bloody Aid, tell your governments to stop interfering in our internal affairs, tell your governments that Muslim Brotherhood Terrorists are killing us because they have the support of your governments to get back in ruling Egypt again, tell your governments to stop financing some of those Egyptian activists traitors to divide our country, tell your governments that we know by names all that 5th Column of traitors in Egypt who are financed by the USA to destroy the unity of our military and the unity our people (those are the plan B of USA after the success of the 30th of June 2013 revolution and those also the same who appeared during the 25th of Jan 2011, they are burned cards. GAME OVER). Egyptians will never allow a fascism religious terrorists to rule Egypt again and will never allow those traitors of the 5th Column who were recruited to destroy the unity of our country and our military. GAME OVER USA.